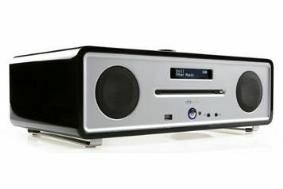 Vita Audio gives the R4 an autumn makeover | What Hi-Fi? As befits such a luxurious product – that's what Vita would have us believe anyway – it's available in Harrods, Selfridges, House of Fraser and selected other stores that are clearly less worthy of a name-drop. The R4 was the worthy recipient of a four-star verdict earlier this year – take a look at our review online here. The existing rich walnut veneer lacquer is £500, while a radio in either the dream white lacquer or the new midnight black finish will set you back £550.